We live in a hectic, fast-paced world. We need a surplus of energy to keep up with life’s demands instead of sinking into our beds in a stupor at night, catching a few winks, then getting up to do it all over again. Coffee … tea … energy drinks … the morning doughnut … caffeine and sugar—these are our culture’s standard remedies. Health-minded people get caught in the same trap, turning instead to all things “natural,” including herbs, vitamins, and purported superfoods. No matter what method you choose, it’s all the same in the long run: Artificial stimulation which can have undesirable effects. Some of these drawbacks are considered so normal many people don’t even notice their bodies are out of balance. The acid-forming effects of caffeine, for example, can cause not only irritability and upset stomach, but lead to body aches, and can be responsible for leaching minerals from the body in an effort to re-alkalize the system. Artificial stimulation always comes at a price. Forcing the body into a state of “feeling” energetic doesn’t mean the body is energetic, nor does this process equal to good health. Whipping the nervous system into a frenzy only leads to a feeling of fatigue when the rush wears off, to depleted adrenal glands, and to many other things that contribute mightily to accelerated aging. Speeding up the metabolism, whether for the purpose of increased short-term energy or just trying to burn off fat, is one of the best ways to ensure that you age faster than normal. 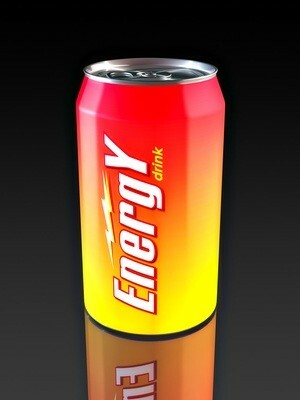 Are there ways to go about getting more energy without compromising one’s health in the process? When a person transitions to an alkalizing, cleansing, and nourishing raw food diet, they are often astounded to discover that not only do they not need these old crutches, but don’t even want them. 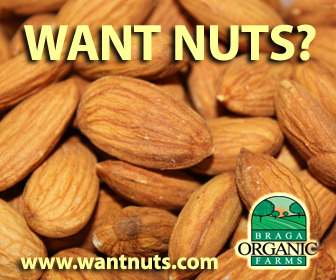 No longer are their bodies laboring under a load of toxins and heavy, acid-forming cooked foods. Now the body will need less food. And less food is the real route to more energy. 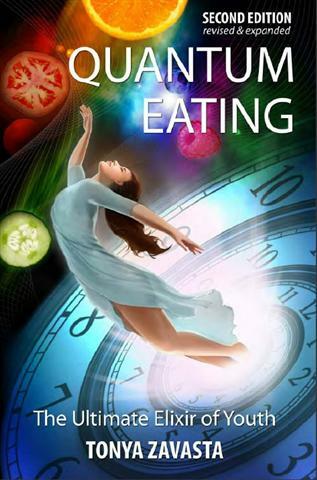 Read my book Quantum Eating (now in its Second Edition) for more information. Once the body has completed a process of detoxification, a new well of energy and clarity springs up, a well that’s lasting and sustainable. A truly healthy body will sleep soundly and wake feeling well-rested. The raw food diet will help prevent those daily energy rushes and dips because the body is supplied with all the fiber, nutrients and protein building blocks for an evenly distributed amount of energy throughout the day. The raw food diet is nature’s answer to the need for energy—true energy because it stems from true health, not mere artificial stimulation. Next time you’re feeling the need for speed and you’re slowly watching your hand reach out for the coffee pot … Stop. Do your body a favor and go for the real source of energy and life enhancement.